House Democrats say they're done waiting for the full Mueller report. The House Judiciary Committee voted along party lines on Wednesday to authorize the chairman to issue subpoenas for the full special counsel report and underlying materials, setting the stage for a potential legal battle between congressional Democrats and the Trump administration. Twenty-four Democratic committee members voted to authorize the subpoenas for the full Mueller report and to release of the underlying evidence to Congress. Seventeen Republicans voted no. Democrats hoped the move to tee up the subpoenas would push Attorney General William Barr to release as much of the report as possible. Barr told lawmakers last week that he hopes to release a redacted version of the nearly 400-page report by mid-April if not sooner. He is working with special counsel Robert Mueller's office to redact grand jury information, classified material, and anything that would compromise ongoing investigations and the privacy of "peripheral third parties," he wrote in his letter to Capitol Hill. House Judiciary Committee Chairman Jerry Nadler said he wouldn't immediately issue the subpoenas for the Mueller report and the underlying materials, and plans to wait to see what Barr plans to release. He also said he would be willing to go to court to obtain relevant grand jury materials if necessary. "We're going to work with the attorney general and for a short period of time in the hope that he will reveal to us the entire Mueller report and the underlying materials and go to court to get permission to have the 6c [grand jury] material," Nadler said after the committee's vote. "If that doesn't work out, in a very short order, we will issue the subpoenas." He added that the Democrats' request was justified by the release of the full Kenneth Starr report to Congress in 1998, which contained grand jury information. Rep. Doug Collins, R-Ga., the top Republican on the committee, said Nadler was "trying to compare apples and oranges" by referencing previous independent counsels and productions to Congress that worked under different statutes. 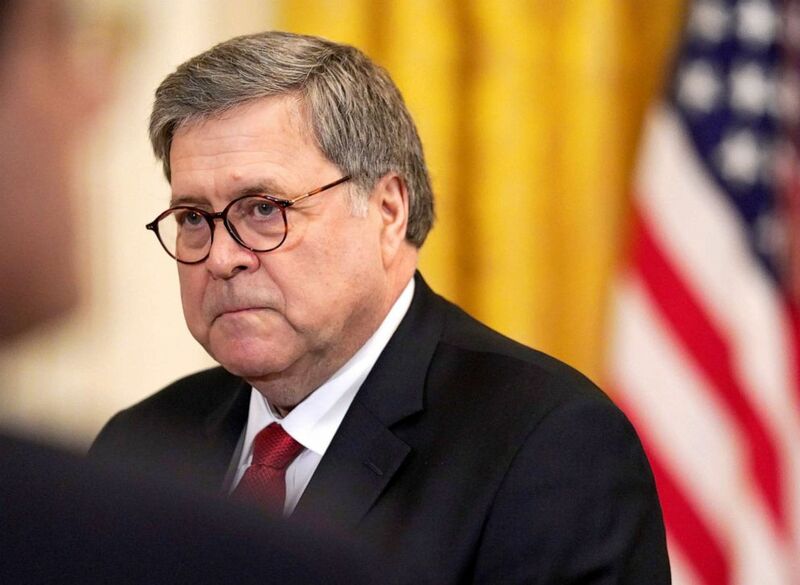 He accused Democrats of putting on "political theater" and of trying to discredit Barr as he continues to review Mueller report. "They're trying to paint a picture of innuendo and other things before the Mueller report comes out," he said of Democrats. Democrats also authorized subpoenas to compel five former Trump administration officials -- Hope Hicks, Don McGahn, Reince Priebus, Ann Donaldson and Steve Bannon -- to cooperate with Democrats' investigation into alleged obstruction of justice and corruption in the Trump administration. Collins claimed that several of the former officials had already signaled willingness to cooperate with the committee, calling the subpoenas unnecessary and the markup "political theater." Democrats have demanded the full Mueller report since Barr informed lawmakers that the special counsel did not find that the Trump campaign coordinated or conspired with Russia to influence the 2016 presidential election and that Mueller did not make a conclusion on whether President Donald Trump obstructed justice in the investigation. (Yuri Gripas/Reuters) Attorney General William Barr at the "2019 Prison Reform Summit" in the East Room of the White House, April 1, 2019. While the White House has deferred to the attorney general on how much of the Mueller report to release, and the president has previously called for the release of the full report, Trump and senior White House officials have increasingly criticized Democrats' demands for more information. 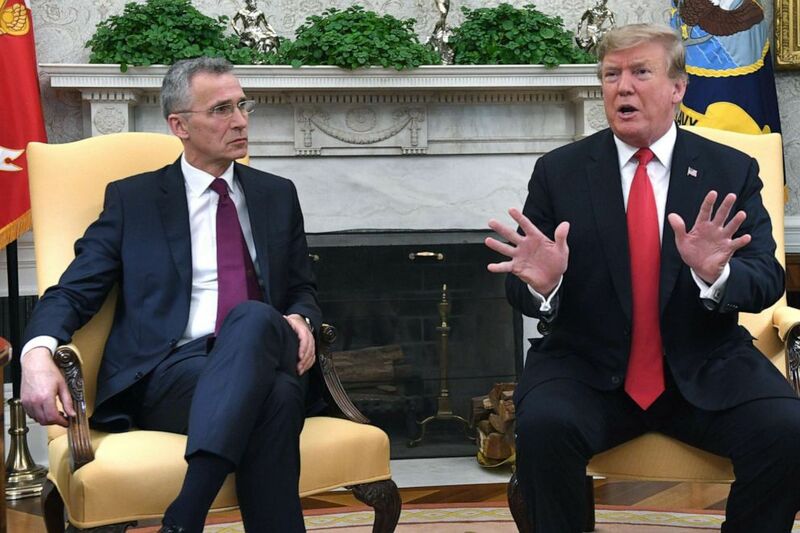 (Jim Watson/AFP/Getty Images) President Donald Trump speaks as NATO Secretary General Jens Stoltenberg looks on at the White House, April 2, 2019. On Tuesday, White House press secretary Sarah Sanders called Democrats "sore losers" who are upset with the 2016 presidential election and will "never be satisfied" with the information they receive from the Justice Department. "We could give them 800 pages and it wouldn't be enough, they'll always come back and say, it's not enough, it's not enough," Trump told reporters at the White House. "You could give them more documents than they've ever seen and it would never be good enough. I think it's somewhat of a waste of time." Nadler has also asked the Justice Department to jointly go to court with Democrats to request the release of all Mueller grand jury material to the House Judiciary Committee. Democrats, as part of their argument for the full report and underlying materials, point to hundreds of thousands of pages of materials that the Justice Department turned over to the GOP-led House in the last Congress, related to the Hillary Clinton email investigation and elements of the Trump-Russia probe, while Mueller's work continued. Justice Department officials have privately disputed Democrats' characterization of the potential refusal to share Mueller materials as a "double standard."